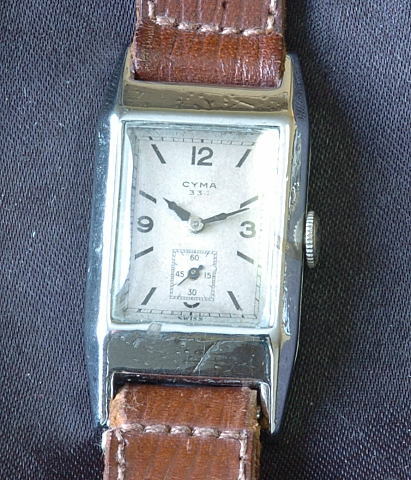 This antique Cyma dates to 1935 and uses the highly collectable 344 full plate movement which has the unusual feature of a three day power reserve. The dial and movement are signed cyma and the case is marked Staybrite fond acier inoxydable (stainless back). This 15 jewel timepiece has just been serviced by our watchmaker and is in good working condition. Photos are not actual size of watch, it measures 22 mm across (not including crown) x 41 mm lug to lug and is fit with a leather bracelet.